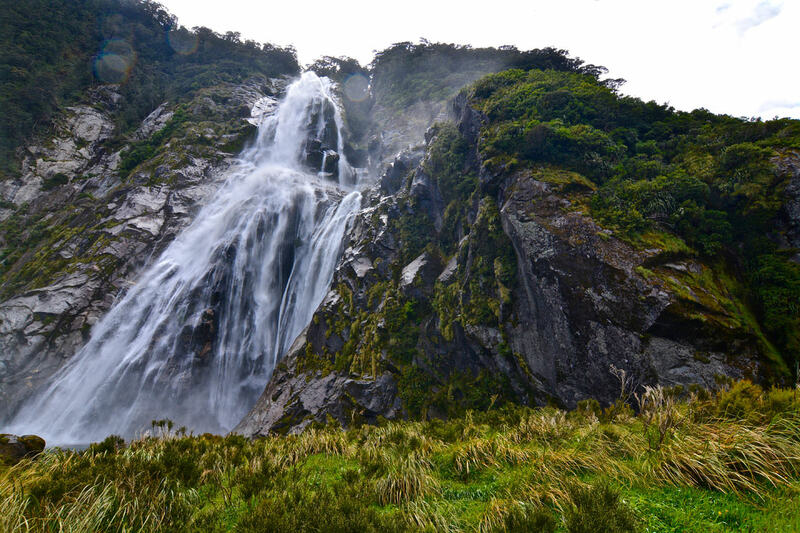 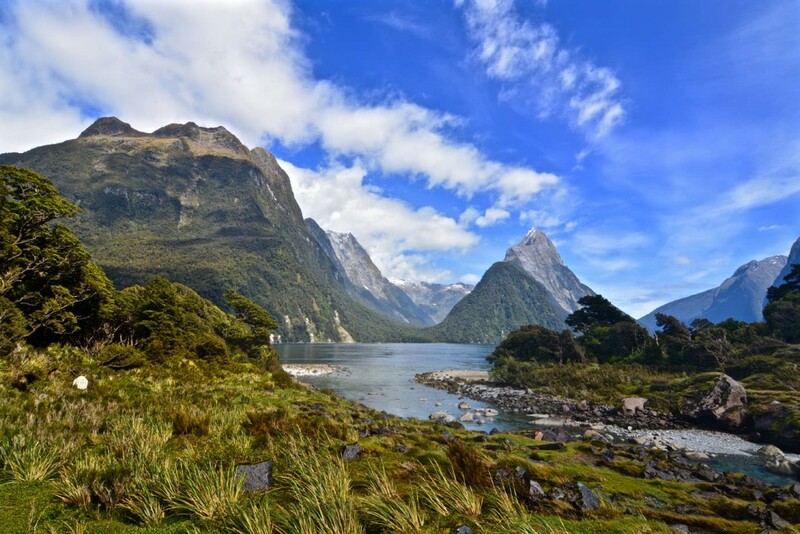 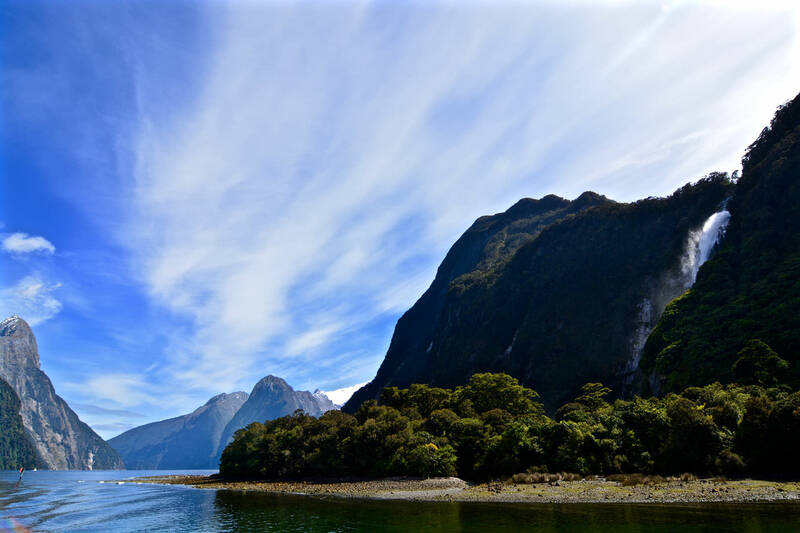 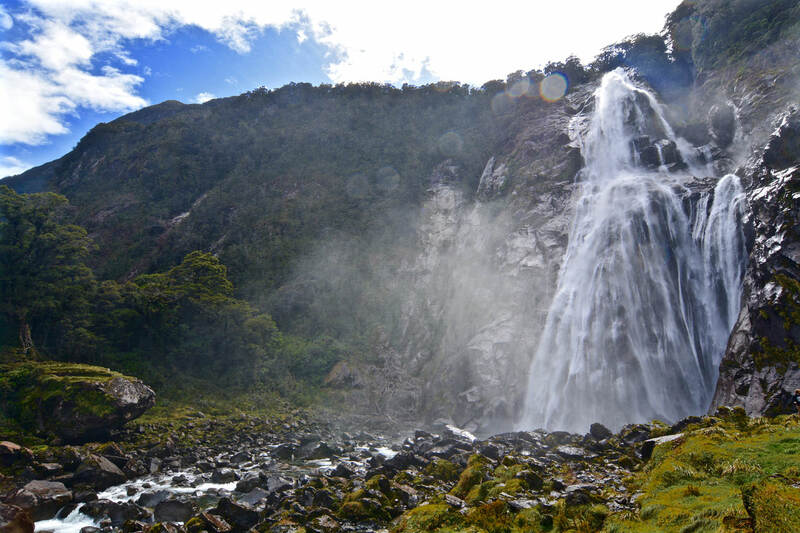 The Lady Bowen Falls are located in Milford Sound, New Zealand. 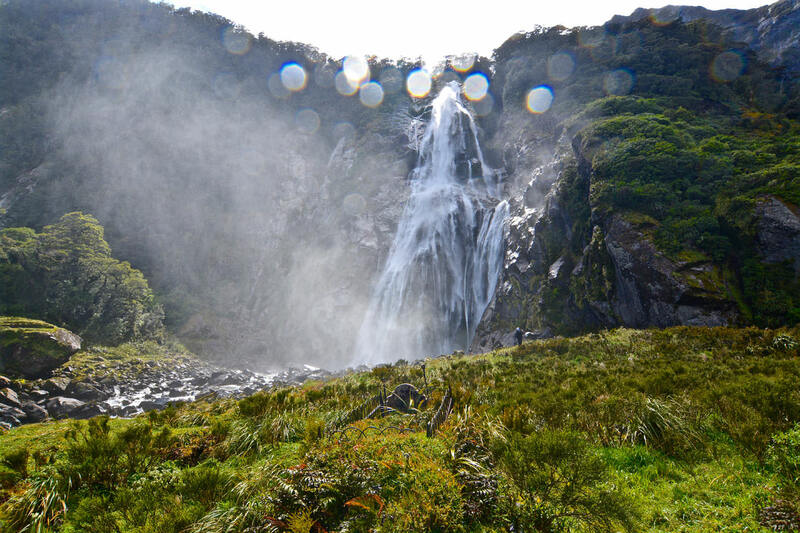 Fed by the Bowen River the 162 metres high waterfall provides electricity for the Milford Sound settlement by feeding a small hydroelectric facility. 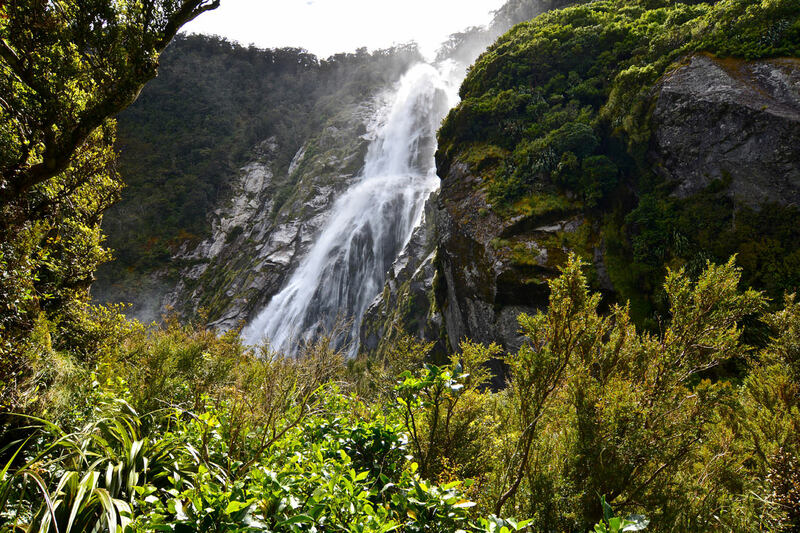 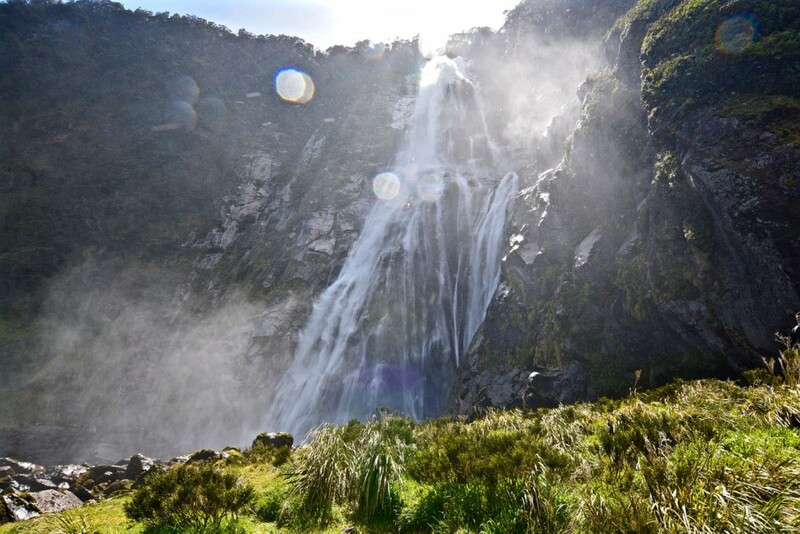 The Lady Bowen falls are named after Diamantina Bowen, wife of George Bowen, New Zealand’s fifth Governor. 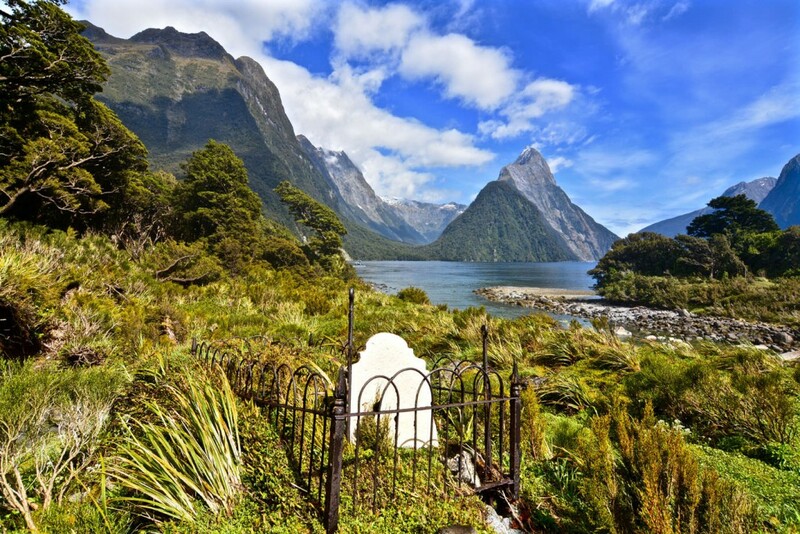 At the bottom of the falls, however, something unexpected can be found – the grave of William Ward Rathbun. 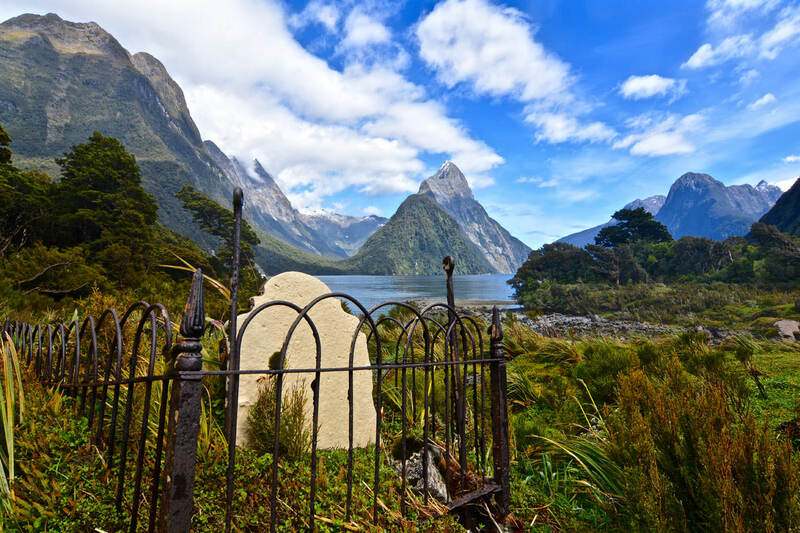 A Canadian worker who died there in 1894 whilst involved in the construction of the Milford Track. Mitre Peak on the one and the Bowen Falls on the other side it’s probably one of the most scenic places in the world where one can be buried.